The Most Important Spiritual Decision – God I needed this! What’s Your “Mind Control” Label? George Soros Is About To Overthrow The U.S. If you are not aware of THE X22Report yet please subscribe, immaculate research. NC Senator wants a back door into encrypted devices, he could careless about the 4th Amendment. Russia calls out US and NATO saying they have accomplished nothing in Afghanistan. US looking to keep troops in Afghanistan and additional troops. Iraq threatens Turkey and Biden will make a visit this January. USS Harry Truman being used as a false flag against Iran. US Government is now using propaganda that they have created peace and security in Syria, which is furthest from the truth. False flag warnings in Belgium and Germany, ISIS is ready to attack. Swiss army chief warns of social unrest in Europe tells people to arm themselves. Bob Dean Presents – THE MEANING OF LIFE? Lunatic Psychopath Lindsay Williams admits US coup in Middle East! Well this is a squirmy moment, one can almost hear the screams “NO! NO! SHUT UP LINDSAY” and I believe a few people had a heart attack through embarrassment. Now the whole world knows, from the horses mouth QED. Jim Carey has his ups and downs. For me, this is one of his ups. If you watch this it might give you some light and if you are struggling to find where to start this might also give you the blocks to launch from. The Ministry of Defense (MoD) is reporting today that the Federation is now in a “state of war” thus bringing to full activation President Putin’s “Dead Hand” nuclear order issued 29 July 2014 to The Strategic Missile Forces (SMF). According to this report, the full activation of the much feared “Dead Hand” nuclear option was authorized under President Putin’s previous order due to the discovery that the nuclear forces of the United Kingdom (UK) were preparing a first strike against military and civilian targets located in the Federation. 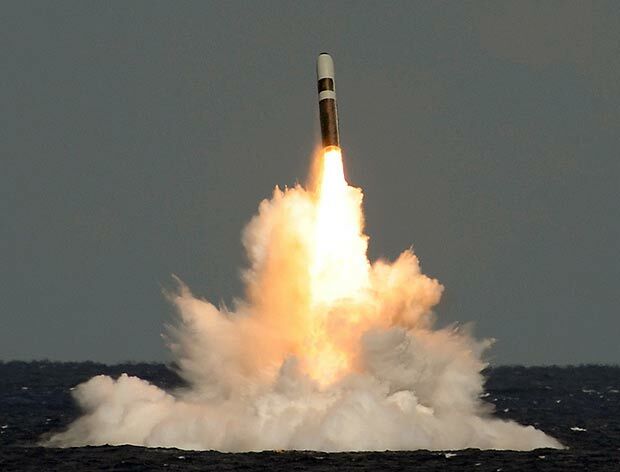 The intention of the nuclear forces of the UK preparing a first strike against the Federation, this report says, was revealed by Federal Security Services (FSB) electronic intelligence experts working in conjunction with Kaspersky Lab who discovered last month a massive US National Security Agency (NSA) cyber espionage programme targeting not just Russia, but everyone else on Earth. Both the FSB and Kaspersky Lab experts, the MoD reports, were able to swiftly reverse engineer the computer code(s) involved in this massive NSA spying operation which then enabled them to electronically obtain the launching codes and coordinates of all the UK’s nuclear weapons showing their plan to launch a first strike against the Federation during the week of 15 March. “For the past week, something strange has been going on in the European internet. For five days, web traffic from Texas to certain addresses in the UK has been routed through Ukrainian and Russian telecoms, taking a detour thousands of miles out of the way. Network traffic often takes a circuitous route as a result of network congestion or interconnection difficulties, but neither one would be enough to account for these routes. Instead, this was the result of a bad route announced by Ukraine’s Vega telecom, inserting itself in between. Upon the MoD’s confirmation of the UK’s intention to launch a nuclear first strike against the Federation, this report continues, Russian military forces throughout the country were immediately activated with a special emphasis placed upon massive rocket-artillery maneuvers on the southern borders. Foreign Minister Lavrov, this report notes, further warned the West this week that Moscow would respond to NATO “in an adequate way” as thousands of Norwegian troops neared the Russian border this week preparing for the influx of a US Marine Expeditionary Brigade, estimated to number between 14-18,000, whose tanks, armored vehicles, artillery, ammunition and battle equipment have flooded into Norway this past year. The MoD also in this report states that the Ministry for Civil Defence, Emergencies and Elimination of Consequences of Natural Disasters (EMERCOM) and the Ministry of Internal Affairs (MVD) previously issued an immediate travel ban on firefighters, ambulance drivers rescue troopers, tens of thousands of police officers, prison guards, and other law enforcement agencies who are deemed critically needed during times of war. Also to be noted, though not contained in this MoD report, are reports from London that Russian personnel and officers have evacuated their embassy and that a mass of activity is now being reported throughout Moscow, especially in and around Red Square. As President Putin, top political officials and military leaders are now under MoD “protection”, other reports (of unknown quality) state that the Kremlin has also “advised” journalists not to leave Moscow and to prepare for a “major announcement” over the next few days.